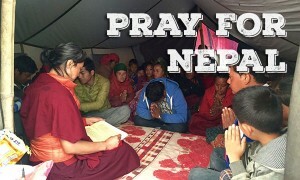 The earthquake in Nepal has caused immense destruction and devastation that has occurred, the people and the country are recovering slowly but surely. Our monastery was also severely damaged, it is the vision of his Holiness Terton Namkha Drimed Rabjam Rinpoche that the monstery is a place for ancient wisdom of Buddha to live and a home to preserve the rich culture and traditions of Tibet. 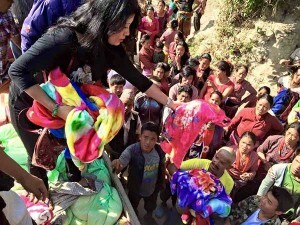 The Ripa Ladrang Foundation and the Ripa Family have been carrying out efforts for relief and reconstruction. We have been able to help hundreds of families with basic relief supplies to many remote villages. We have provided bags of rice, sugar, oil, tents and other food and clothing supplies. We have also embarked on reconstruction and repairs of our own Ripa Monastery and monk hostels. 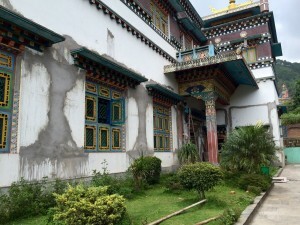 They have incurred significant damage to the walls in the main Gompa building, torma room and the classrooms. Brick has fallen off some areas and there was danger of more falling bricks and ornamental structures. The statues and Thangka paintings on the wall have deep cracks and were in need for urgent repair. Any delays in repairs would’ve caused even further damage. With all of your generosity and support, we have been able to help repair the damages to the monastery! Below are some image s where you can see the repair work being done. You will find that all of the cracks on the walls have been patched, the roof is being painted, the walls inside the stairways repaired, the statues being repaired and put back into place, and all the wall paintings being restored. It was His Eminence’s wish that the Gongter transmission happens without any changes to the schedule or inconvenience to people attending. Therefore, the work has been happening very aggressively in order to complete most of the reconstruction needed to host this auspicious event. After the earthquake, Gyetrul Jigme Rinpoche embarked on a project to adopt and rebuild a whole village. Mero Gaon (meaning ‘My Village’) is a project that came from the heart and compassion of our Lama as he saw and witnessed the suffering and destruction of people who lost everything. Your continued support and help are extremely essential for our work to continue. Please feel free to contact us for additional sponsorship information.